To invest in an Electronic Medical Record (EMR), also referred to as Electronic Health Record (EHR) and Health Information System (HIS), is a huge decision with major implications. That is why it is not comfortable for many health providers to make the switch. Yet the reasons to adopt this emerging technology are powerful and worth the effort, time and money. The EMR technology gives health care providers not just information at hand but also benefits that are not possible with paper records. Healthcare providers can view and print graphs of health/body values such as weight, cholesterol levels, and blood pressure, change tracking. Based on such data, the decision-making is more accurate. Also, electronic medical records ensure access to information and resources (such as assessments for drug interactions, Framingham calculators, and body mass index calculators) that lead care providers towards the best approach of conditions they treat. The EMR improves collaboration between physicians and their multidisciplinary team members. Data in chart summaries, medical notes, and consultation letter templates is stored and retrieved in a clear and structured format. This reduces medical errors in prescribing. Electronic medical records make it easier to submit requests and assign tasks to various team members. Clinical staff, clinicians, and even patients can easily access and book appointments remotely. Electronic medical records also improve communication with patients through the use of patient portals and personal health records. 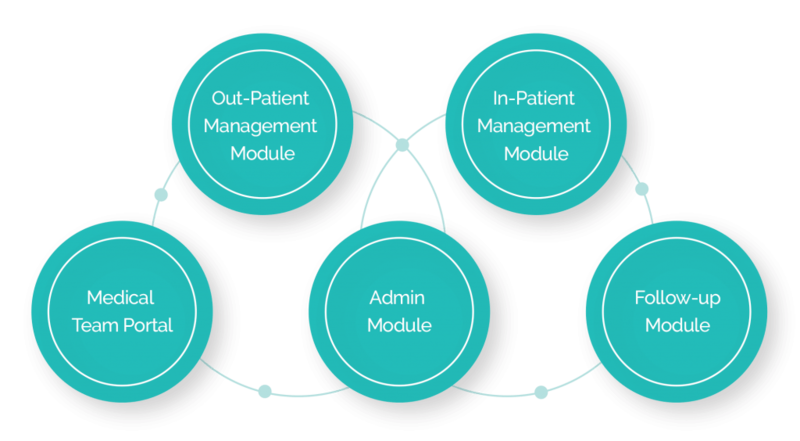 Electronic medical records can provide treatment goals or alerts to remind users (patients or care providers) when certain prevention and screening maneuvers are due. This makes patients more health-aware and engage them in managing their own care. On the long run, this favors prevention and better management of chronic with a decreased risk of diseases such as heart conditions. Many patients have multiple medical problems that are managed by different physicians. Coordinating care provided by different physicians or clinics shows respect for patients as it ensured correct treatment. EMRs make the effort of coordinating and collaborating among practices far easier and smoother than ever before. EMR technology is rapidly evolving toward “interoperability”. This means one physician will be able to view in any other EMR system based on access and level of permissions provided. The authorized information can then be visited remotely, enabling meaningful consultations and correct treatment based on full data in patient’s records. Recent studies show that fatal drug-drug interaction is a major risk when patients, especially children, receive treatment from different practitioners. This risk is higher when the child shows up in the emergency room with an acute problem of unknown etiology. Most EMR systems now include features that warn the health provider on drug interaction and allergies and unforeseen risks through handy devices such as smartphones. Once the migration to the EMR delivered, savings are consistent in terms of overall costs and increased efficiency. Also, there will be savings in administrative costs for storing, retrieving copying and faxing paper records, otherwise expensive to store. Most electronic medical records include R&D modules. The meaningful and structured EMR data provides the opportunity for interested health providers to conduct research activities either by themselves or in consortia. EMR technology allows health providers to examine and treat patients in innovative ways. EMRs will dictate in the future when it comes to medical practices. So, to stay competitive practices will have to start looking for and invest in an Electronic Medical Record that best suits them.